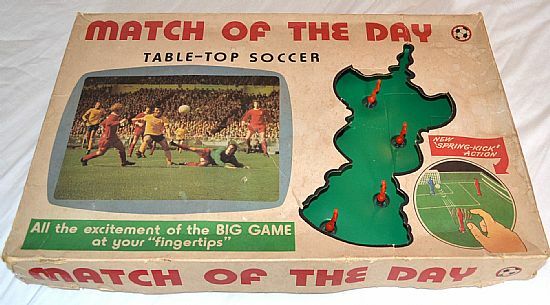 Yet another game called Match of the Day. This one is a simple reboxing of the Super-star Scccer game. 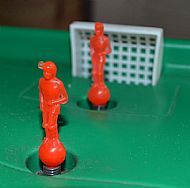 A classic players on springs game with teeny-weeny goals! 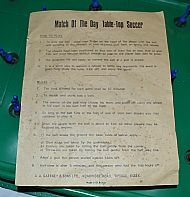 Simple box with superb FA Cup cut out design. 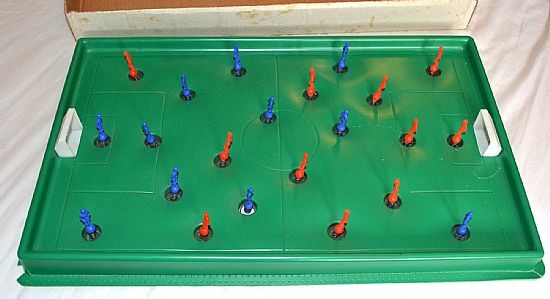 Plastic pitch and players, surprisingly fun to play. Usual vacuum formed pitch with plastic players on metal springs. Nice and easy, ping the player with the ball in his hollow.